WOW! Over a billion QSOs entered into LOTW … that’s a mind-boggling number! Well, I’m responsible for 4,355 of those. That would have been a considerable expense if I was lickin’ and stickin’ postage on all of those QSLs. Thank you ARRL for making this possible! Author dickPosted on December 20, 2018 December 20, 2018 Categories DXCC, LOTW, SoftwareLeave a comment on A Billion! As I said before, mine was a sort of slapdash effort, but still fun. As a reference, the top RAW score for single-op was WV4P 706/97/68482. The lowest score was 1 QSO/1 Mult/RAW score 1. Just looking at physical position in the listing, I’m somewhere near the middle, I think. Of course, these scores will be refined … this is before checking for dupes, busted calls, etc. I didn’t count through the listing, but I read somewhere that there were over 1000 logs received, and almost 600 instances where operators were mentioned in those submitted logs but didn’t send in a log themselves. All in all, a resounding success for a first contest! BTW, in case you haven’t heard, the new version of WSJT-X is out … ver. 2.0.0. You can get it HERE. UPGRADE!! Correction: An article on the ARRL website says there were 1300 log submissions. 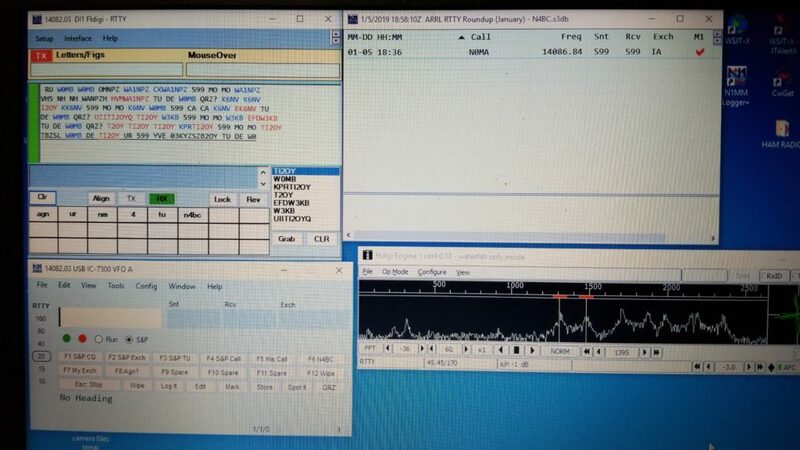 I got on the air with WSJT-X when I got home from work this afternoon, and everything worked the way it’s supposed to. I made 25 contacts on 80 through 17 meters, using version 2.0 … except for 60 meters … Everybody on 60 was still using ver. 1.9.1. This is a good sign. Looks like lots of people upgraded. There is a decided increase in the number of stations running the latest version. I even worked a new one on 17 meters … ZD7JC, St. Helena Island in the South Atlantic. This is where the British imprisoned Napoleon after his defeat.